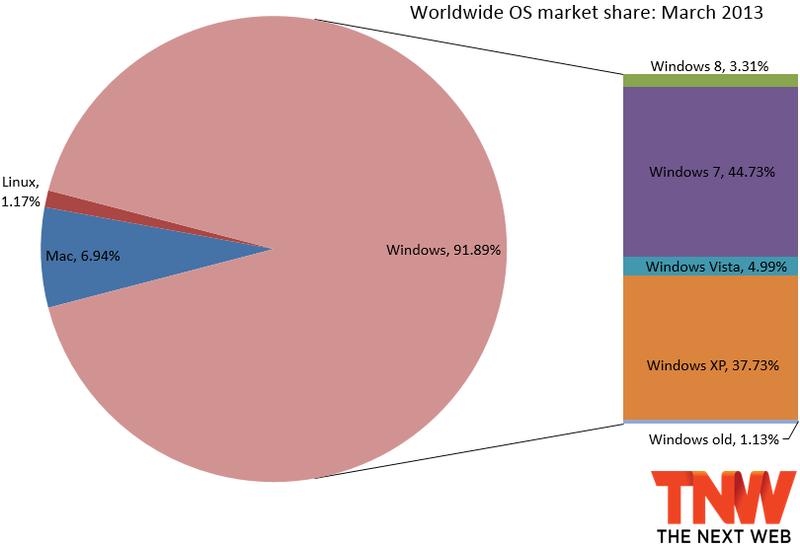 With the first quarter of 2013 already over, Windows 8 continues its slow but steady growth. Windows 7 meanwhile posted minor growth and Windows Vista has finally fallen below the 5 percent mark. The latest market share data from Net Applications shows that March 2013 was a decent one for Windows 8, which gained 0.52 percentage points (from 2.79 percent to 3.31 percent) while Windows 7 regained 0.18 percentage points (from 44.55 percent to 44.73) after gaining just 0.07 percentage points the previous month and losing a sizeable 0.63 percentage points the month before. In January, Windows 7 lost market share for the first time since its release, just a month after passing the 45 percent mark. It has started to slowly climb back, though it’s still difficult to say may if it will ever reach that point again. While Windows 7 slightly regaining share is not too surprising (there are still PCs being sold with the operating system), Windows 8 isn’t growing as quickly as some would have hoped. Windows 8 grew 0.66 percentage points in December, meaning all three months in 2013 so far have seen smaller gains. With the Windows 8 upgrade deal for $15 having expired at the end of February, it is difficult for Microsoft to avoid a slowdown in sales. Microsoft will have to rely on students taking advantage of the $70 price tag to spur sales and of course on OEMs luring in new customers with unique hardware propositions. Yet this is going to be even harder with the larger anticipation of Windows Blue, widely expected to be announced in just over two months from now, and expected to be released before the end of the year. In fact, Microsoft recently announced Build 2013, where it will likely officially unveil Blue. Windows Vista meanwhile is down 0.18 percentage points (from 5.17 percent to 4.99 percent), meaning it has finally below the 5 percent mark. Vista fell below the 10 percent mark all the way back in July 2011. Windows XP has lost a whopping 1.26 percentage points (from 38.99 percent to 37.73), so this is definitely a month full of good news for Microsoft. At the end of 2012, Windows managed to increase its market share after six months of losses, mainly thanks to Windows 7 and Windows 8. In 2013, however, Windows was back to losing share, until March that is. 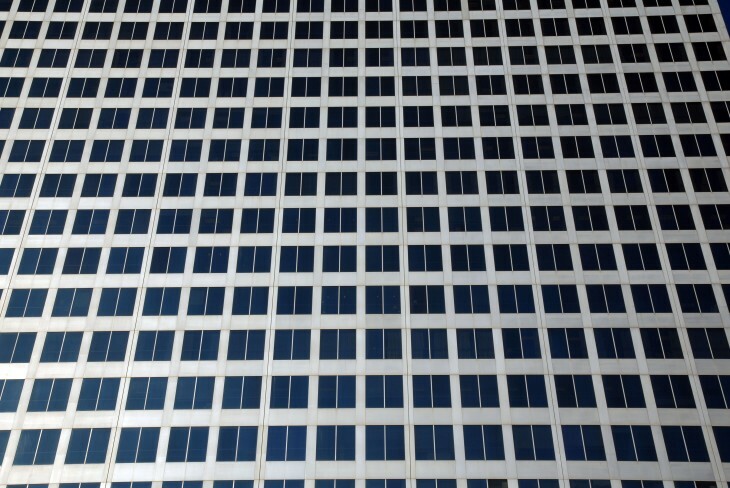 Between February and March, Windows grabbed 0.27 percentage points (from 91.62 percent to 91.89 percent). This was OS X’s and Linux’s loss, which fell 0.23 percentage points (to 6.94 percent) and 0.04 percentage points (to 1.17 percent), respectively. Net Applications uses data captured from 160 million unique visitors each month. The service monitors some 40,000 Web sites for its clients. StatCounter is another popular service for watching market share moves; the company looks at 15 billion page views. To us, it makes more sense to keep track of users than of page views, but if you prefer the latter, the equivalent data is available here.